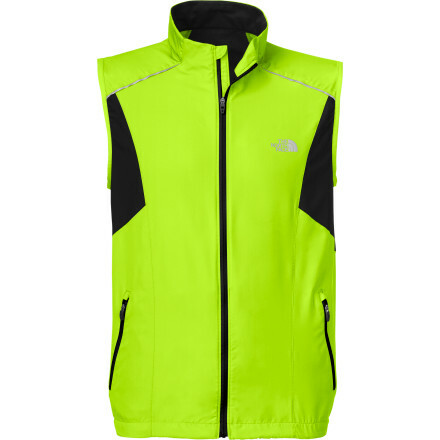 Visit The North Face's Torpedo Vest page. Every morning you plunge through the fog of sleepiness into an exhilarating run. 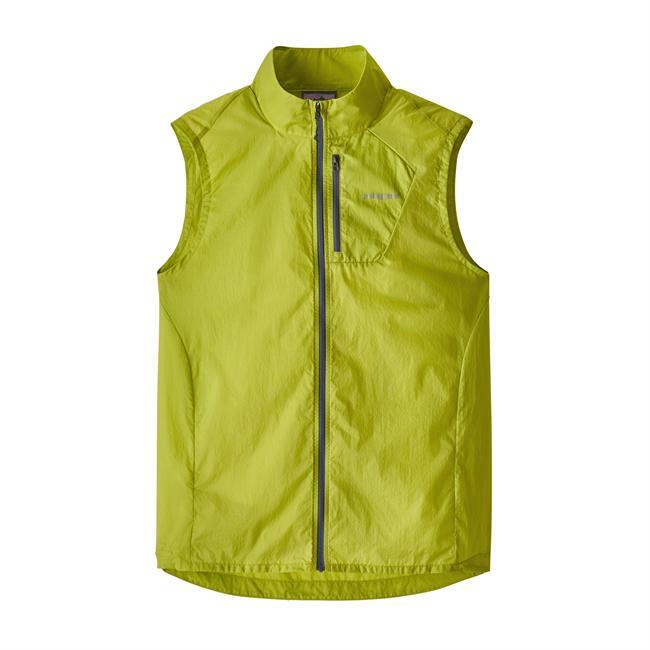 When the chill and wind grip your trail or neighborhood, The North Face Torpedo Vest uses its sleeveless design, weather-resistant softshell fabric, and body-mapped ventilation to achieve a happy medium of warmth, protection, and breathability. Where fleece jackets would let in too much drizzle and wind and windbreakers would leave you sweaty and stuffy, the Torpedo excels. Don't let the weather determine your pace or mileage for the day. 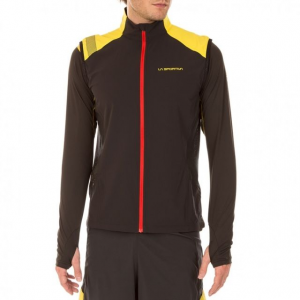 Keep your core dry and warm when the weather's foul but when a jacket is still just too much. Made with TNF Apex ClimateBlock fabric, this virtually waterproof and windproof fabric maintains a comfortable level of breathability to prevent overheating. 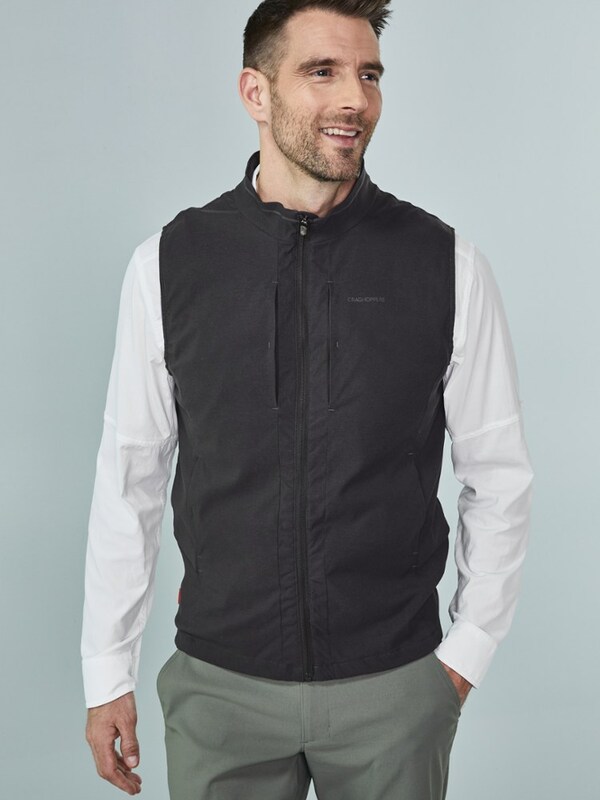 A layered venting system and body-mapped ventilation provide areas for hot air to escape, with an added cape vent at the back that opens during forward motion to allow hot air to escape, while remaining closed when you're standing still to provide warmth. On Sale. Free Shipping. The North Face Men's Torpedo Vest FEATURES of The North Face Men's Torpedo Vest Layered venting system Reflectivity Body-mapped ventilation Cape venting Hand pockets Hem cinch Drop tail MP3 pocket with cord hole SPECIFICATIONS of The North Face Men's Torpedo Vest Center Back Length: 27.5in. 76 g/m2 100% polyester This product can only be shipped within the United States. Please don't hate us. When a jacket is too much, The North Face Torpedo vest is the perfect solution for uninviting chills. 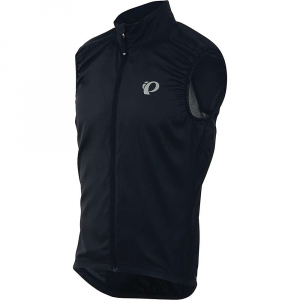 Polyester shell shields against wind and light rain; mesh at armpits maximizes breathability. Durable water repellent finish fends off light rain showers and snow. Fabric provides UPF 50+ sun protection, shielding skin from harmful ultraviolet rays. 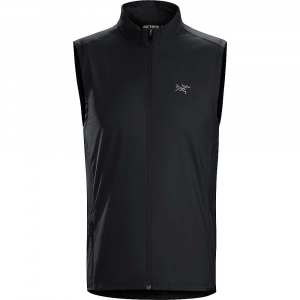 Layered ventilation and back cape prevent air from stagnating inside. Zip hand pockets stash your workout essentials. Cord hole in media pocket lets you tote your tunes. Reflective logos on The North Face Torpedo vest boost your visibility. The North Face Torpedo Vest is not available from the stores we monitor. It was last seen September 2, 2014	at Backcountry.com.